cloth in a metal or plastic frame. The first option looks much sleeker, more aesthetic, frameless doors to the shower do not “load” the room with excess geometry. However, the reliability of this design is ensured only by the strength of the glass itself and fasteners. Frame products are more resistant. As a rule, they are made of an aluminum profile with a corrosion-resistant coating with silicone seals for a snug fit. The shower door is made of tempered glass with a thickness of 6-12 mm. Height, width of cloth is discussed individually for each order. Giovani Glass offers a lot of options of glass shower doors with perfect design, suitable format, reliable characteristics. In addition to the production of bathroom components, the company's specialists will also easily install the door to the shower niche and box. · An abundance of great repair ideas that can satisfy the most demanding customers. · Inspiring finished works presented in the online catalog - so that you have an idea of the quality of our work. 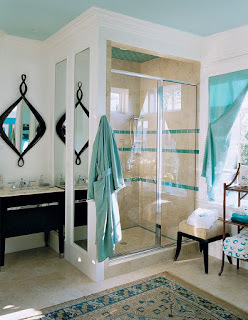 · A pleasant pricing policy, thanks to which everyone can buy glass doors for a shower. Warranty service from the manufacturer. · The opportunity to realize the dream of the perfect interior design - the most comfortable, convenient, beautiful. If typical designs of shower boxes are not suitable for the particular features of your room, it's time to take advantage of Giovani Glass offer. Prompt production in strict accordance with the sketch, fast targeted delivery, highly efficient service, promotional offers - and this is only part of what Giovani Glass offers.